A brother-sister relationship is one that can’t compare to any other. From quarrelling about eating the last piece of chocolate cake to World War III level fights over the TV remote, these disagreements and differences develop into something so beautiful and special, it's difficult to describe in words. Which is why, this Raksha Bandhan, we decided to bring to you a video that that warmed our hearts like no other. A wedding video filled with happy moments of the bride and groom, but more importantly, a wedding video where a brother poured out his heart of love for his sister in a way no one else has before. “I have a feeling I’m gonna be an absolute emotional wreck on the day of the wedding and everyone else is gonna be okay” He says as he talks about his little sister AKA his princess. 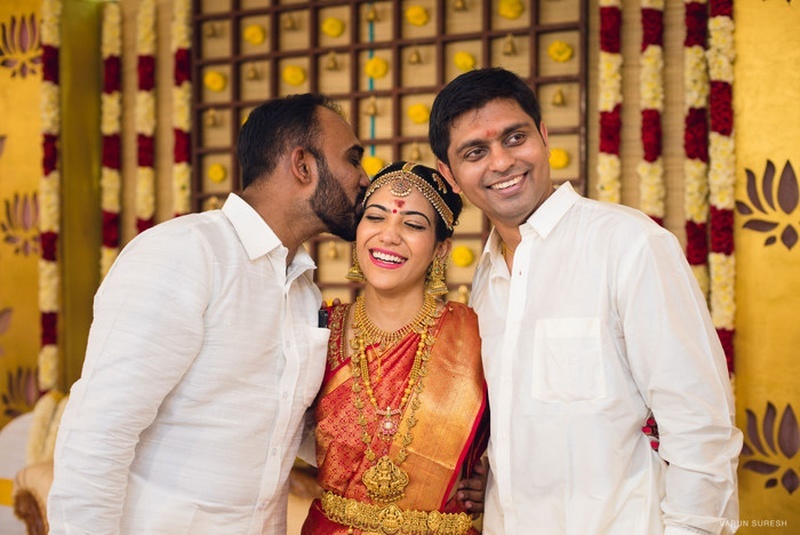 This south-Indian wedding complete with little décor details and bridal jewellery that inspires us to have a friendship just like Divya and her brother did. “From childhood I’ve noticed that there can’t be a person who is as good as my brother.” - Divya. This Raksha Bandhan, give your sister or your brother a gift that compares to no other. A gift of love and support but most of all, a gift of friendship that will last for eons. Dive into a relationship that will only grow stronger whether she goes away she goes away or he stays right next door to you. Check out this beautiful wedding video that embraces the true meaning of Raksha Bandhan shot with so much love by The Marigold Company. Divya + Vignesh from Anvitha Pillai on Vimeo.